A lot of research is conducted about the results of education all over the world. The OECD Programme for International Student Assessment (PISA) is a leading report, which not just examines what students know in science, reading and mathematics, but also the quality and equity of learning outcomes. The OECD has concluded that, in an international context, the Dutch population is already well educated. 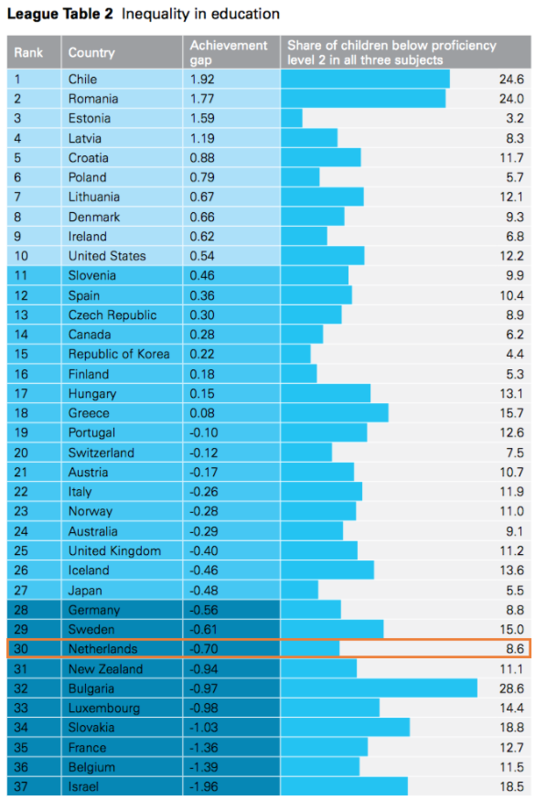 According to PISA, when asked to quantify their appreciation of the life they lead, Dutch students returned an average rating of 7.83 (on a scale of 1 to 10), putting children in the Netherlands among the happiest in the world. 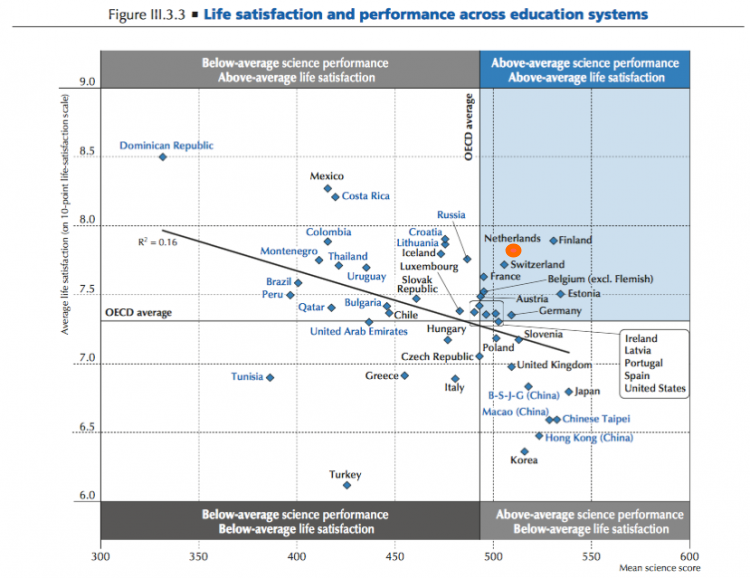 However, the Dutch education system stays behind on two areas: equality and motivation. Research shows a large achievement gap between low-achieving students and ‘average’ children. This gap may indicate a lack of equal chances for each Dutch student. 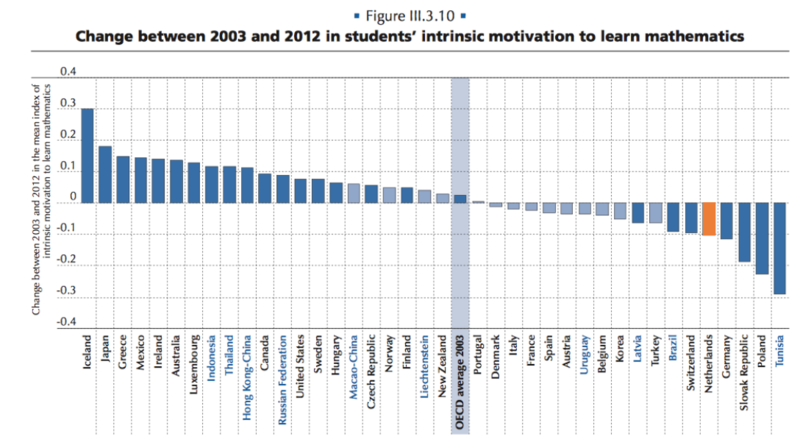 Also, on the area of students’ intrinsic motivation The Netherlands scores below average. Therefore, the Dutch education sector highly focuses on increasing the motivation of students and improving the equity of education. Research also shows the effect of the Dutch education level on the life of young adults: “Furthermore, there are few young people in the Netherlands who do not participate in education and the labour market, both of which are in harmony and complement one another.” (Source: Beleidsreactie op rapport (Policy response to the report) Education at a Glance 2017). 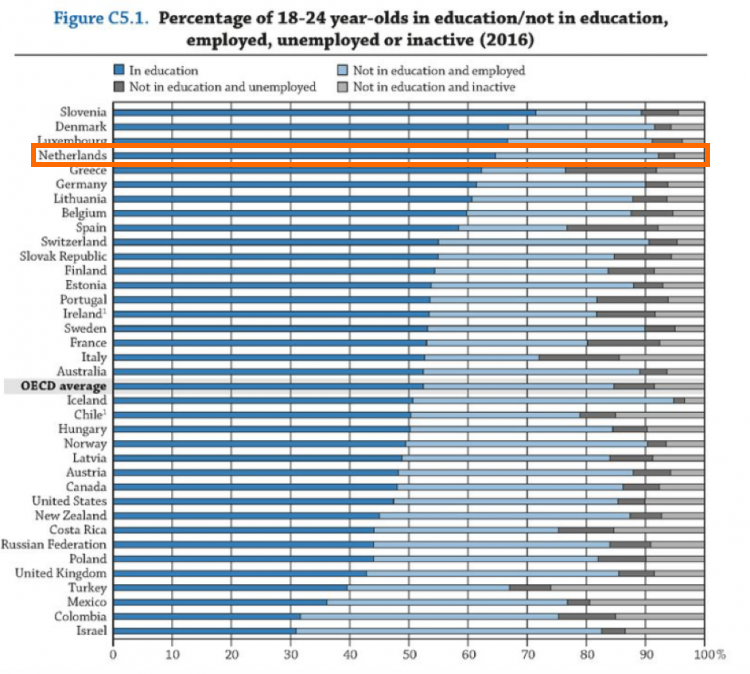 The chart below shows the emphasis of the Dutch education system on keeping students at school, which has an positive effect on youth unemployment. 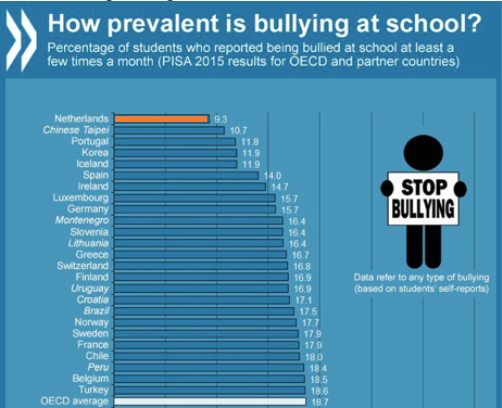 The wellbeing of Dutch students is also shown in the results about bullying. The Netherlands have the lowest percentage of 15-year-old children who are involved in any act of bullying.